On February 3, 12-2pm only! 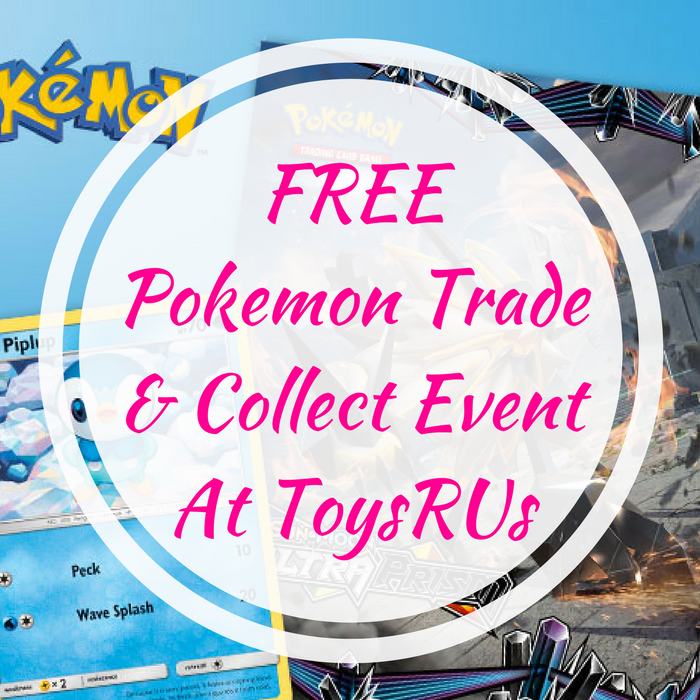 Take your kids to Toys R Us where they are hosting a FREE Pokemon Trade & Collect Event! They can get a FREE Piplup foil card and a Pokemon Trading Card Game poster PLUS participants can bring their Pokemon cards to trade with other trainers and participate in a Pokemon coloring activity. You can also reserve your spot for the event through their online reservation system. Mark your calendars!